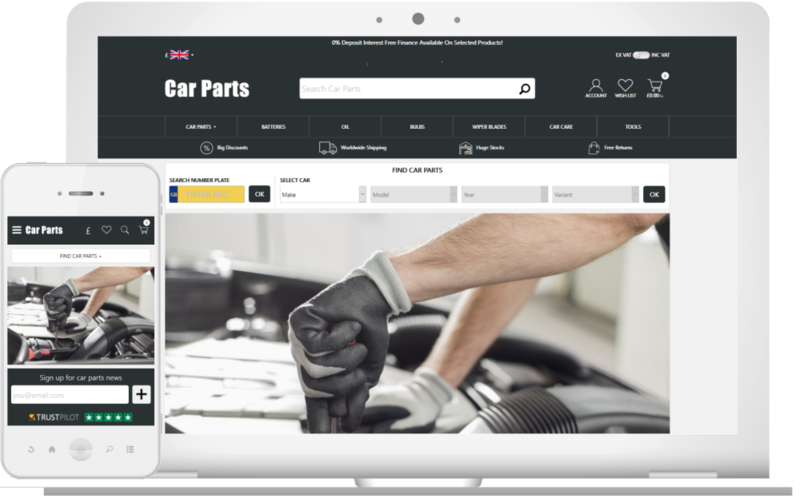 Take merchandising make / model compatible parts to the next level with our platform for selling automotive parts, spare parts and consumables for retail and trade. Sell OEM parts, aftermarket parts, remanufactured parts, used and refurbished parts online. We have the tools and know-how to help you build a market leading make / model compatible parts website. To start a conversation about your parts website project simply call us on 0121 704 3668.